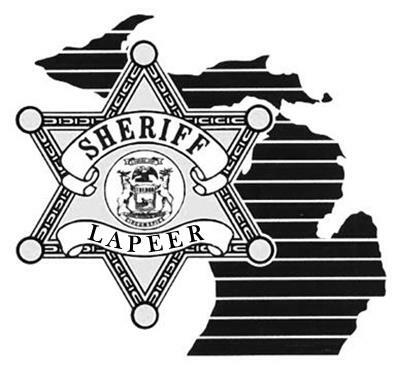 On Friday 07-31-2015 at 11:18 PM, Lapeer County Central Dispatch received 911 calls that an individual was discharging a firearm while driving by a residence on Forest Avenue in Otter Lake. There was no known injuries with multiple shots fired. Lapeer County Sheriff’s Deputy Dan Hinsberger was in the immediate area and encountered the suspect’s vehicle. The vehicle was followed into northern Genesee County until a backup unit was in position. Lapeer County Sheriff’s Deputies performed a traffic stop on Henderson Road to the north of Lake Road. The driver and lone occupant (Kyle Spohn) was taken into custody without event. Deputies established that there was a social gathering on Forest Avenue. Kyle Spohn who previously resided in Otter Lake was requested to leave the social gathering. It is alleged that Kyle Spohn returned to the residence about a half hour later and discharged several rounds from a shot gun from his vehicle that was on Forest Avenue. It was reported that Kyle Spohn drove past the residence numerous times while discharging the firearm. There was numerous people standing outside the residence when the firearm was discharged with no injuries reported. The residence’s structure and a vehicle parked out front was damaged by gunfire. Kyle Spohn was immediately lodged in the Lapeer County Jail. Lapeer County Sheriff’s Deputies investigated this complaint throughout the day on Saturday with the investigation presented to Lapeer County Chief Assistant Prosecutor John Miller on Sunday morning. The following formal criminal charges were issued on Sunday 08-02-2015. Kyle Spohn was arraigned in the 71-A District Court of Lapeer on Sunday 08-02-2015. 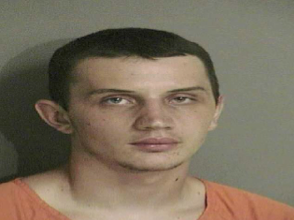 Kyle Spohn currently remains incarcerated in the Lapeer County Jail on a $750,000 bond. Kyle Spohn next scheduled court date in the 71-A District Court of Lapeer is 08-14-2015. Lapeer County Sheriff Ron Kalanquin is very thankful that nobody was injured during this violent and very dangerous act that jeopardized the safety of the entire community. Marathon Township and the Village of Otter Lake have a police contract with the Lapeer County Sheriff’s Office for a deputy assigned to the area which played a significant role in neutralizing the violent act, locating valuable evidence including the weapon, and immediately arresting the alleged offender to protect the community. Lapeer County Central Dispatch 911 Dispatchers played a valuable role by relaying critical information to deputies and coordinating emergency response. Michigan State Police Troopers from the Lapeer Post assisted deputies with securing the crime scene. This case currently remains under investigation by the Lapeer County Sheriff’s Office. Anyone with information is requested to contact Detective Sgt. Jason Parks at 810-245-1381 or jparks@lapeercounty.org.